The two Koreas took turns Monday briefing the UN Security Council on the sinking of the South Korean Navy corvette Cheonan. 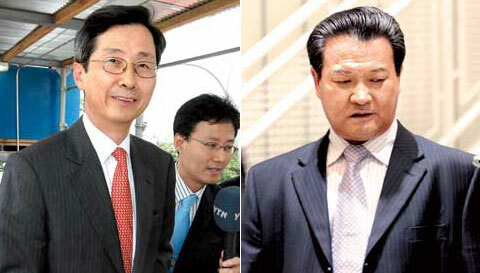 UNSC members expressed confidence in South Korea's findings but found North Korea's denial of involvement unconvincing. Accompanied by international investigators, Yoon Duk-yong, the head of the investigative team, briefed a session of the UNSC for two hours and answered questions. "UNSC members asked many good questions," he told reporters afterwards. "They understood the scientific, physical cause of the sinking of the Cheonan." The French, Austrian, Turkish, and Japanese ambassadors to the UN described the briefing given by the South Korean team as "scientific," "thoroughgoing" and "convincing." The envoys from China and Russia, which have sat on the fence so far, reportedly raised no further doubts in the session. North Korea's UN ambassador Sin Son-ho was up next and claimed that far from sinking the ship, the North is the victim of South Korean "fabrications." Austrian ambassador Thomas Mayr-Harting called the South Korean testimony a presentation based on a thorough "investigation" but the North's briefing an "allegation." Ambassador Claude Heller of Mexico, the current UNSC chair, in a statement said that the UNSC is "seriously concerned" about the Cheonan sinking and its consequences for the peace and stability of the Korean Peninsula. He urged both Koreas to refrain from action that could heighten tensions in the region.